Easter activities will be scheduled throughout downtown Georgetown. At 11 am everyone is invited to stroll down the boardwalk in the Easter parade and participate in the Annual Easter Egg Hunt at Rainey Park and the Kaminski House Museum Lawn at 11:30 am. 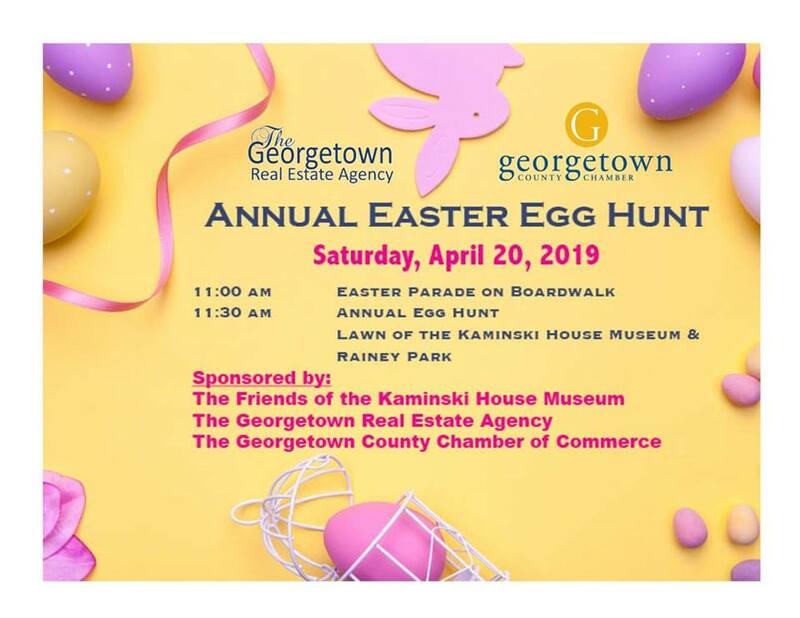 The Friends of the Kaminski House, The Georgetown Real Estate Agency and the Georgetown County Chamber of Commerce are sponsors of the Annual Easter Egg Hunt this year.